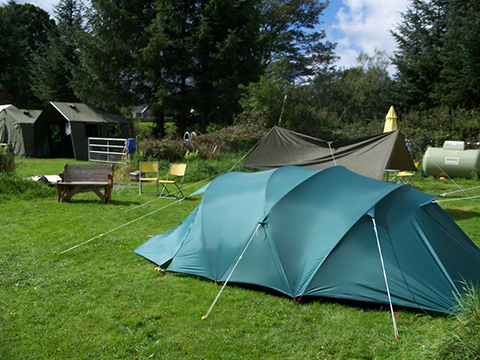 A quiet stream-side Campsite with a twin shower block, four toilets, eight power hook-ups and water on tap. 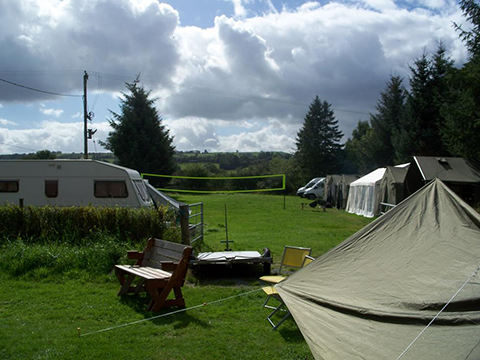 Room for three campers or caravans, and about 12 tent pitches, plus a hard area for two vans in very wet weather. BBQ and camp fires allowed, wood can be purchased at the house. £8 pppn all inclusive of facilities. Caravan/Camper £18 per van per night incl. hook-up. Breakfast is available to purchase at the house if required.